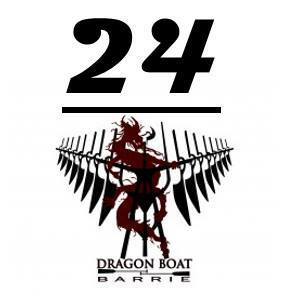 Introducing Dragon Boat Barrie U24, our club’s team for athletes under the age of 24 (as of June 1st, 2019). Paddlers must be at least 16 years old. The U24s will begin weekly practices in the spring of 2019 starting May 22, occurring every Wednesday until August 21. Practices are scheduled for 8:00 – 9:00 pm. The 2019 season fees are: $225 Team Fee + $25 DBB fee = $250.00. Proceed to checkout via the Shopping Cart on the right side of this page (below on a mobile device). Once your purchase has been made, a Dragon Boat Barrie representative will be in contact with you confirming your registration. What does my team fee include?